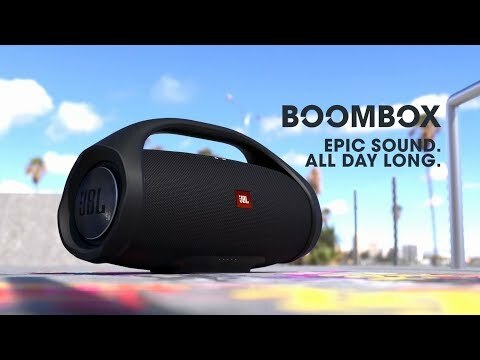 JBL Boombox is rated 4.5 out of 5 by 231. Rated 5 out of 5 by Ivan xavier from Amazing sound and product!! Not alot to say, just that the quality of sound is amazing, very light and didn't regret to buy, really recommended. Rated 5 out of 5 by Wbr1291 from Great overall experience! I will definitely recomend this product. Rated 5 out of 5 by caleb m from Super Happy with this purchase. Feels solid, sounds great, and the bass is impressive, outdoors you can still feel the bump. What power will it have? So, if it the same power of Xtreme, whats the real difference between them? Cause, I thought that it was more than 40W rms. My brand new JBL Boombox makes kind of parasite background noise when switching on/off. First I though about the firmware upgrade. Still running under version 2.0 so should I go to 2.2 (or latest) and could this be the problem ? Hi Guys, For instance the power supply has been replaced so it sounds amazing already. Excellent product indeed ! i have 2 jbl charge 3s will the boom box connect to them? Hi Thank you for your question. The Charge 3's can connect to the Boombox if the are updated to the latest firmware which supports Connect+. Hello,whtat the real bass of this Boombox?Thank&acute;s! Hi, is there a Jbl Boombox camouflage? I mean..does it exist? Hi, yes the jbl boombox can float on water and if you sit it front side up in the water you will still be able to jam to your music. How loud is Boombox compared to Extreme? What is the difference between JBL Connect and JBL Connect +? Hi! 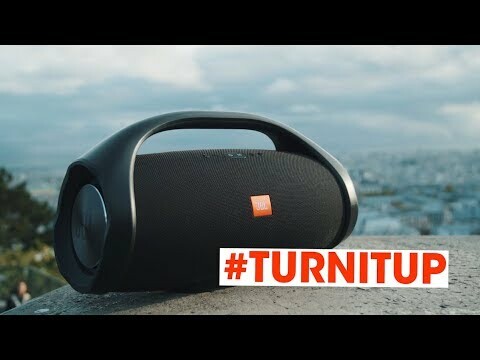 The JBL Boombox is much louder and has much more bass than the xtreme and it can hit 20hz lower than the xtreme, it has four 4 inch woofers and two 20mm tweeters, it can go as loud and maybe even louder than the harman go +play. 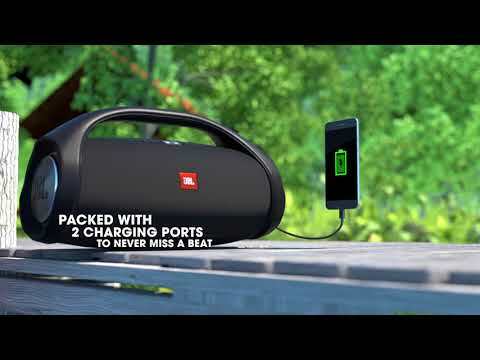 Jbl connect allows up to two Bluetooth speakers to connect and play simultaneously, jbl connect + allows 100+ speakers to connect and play simultaneously. Want to use it in classic truck, friend uses Bose soundlink and sounds good, Wish could hear the JBL boom box. Be honest, will it sound good in a cab of a truck? I don&rsquo;t buy stuff and return it. 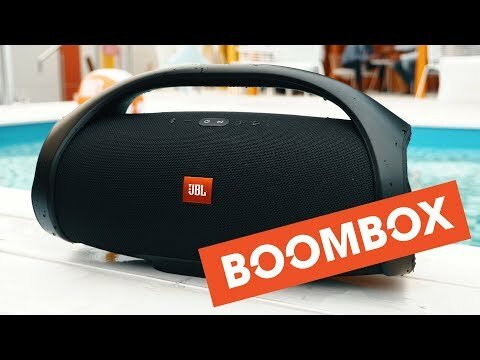 The JBL boombox can even produce quality music in a medium sized room so a cabin shouldn't be a problem and should be able to provide you quality sound.